Philippine sovereignty remains seriously challenged even as the country marks its (supposed) 116th Independence Day on 12 June. The biggest threat still comes from the US especially amid its so-called pivot to Asia. 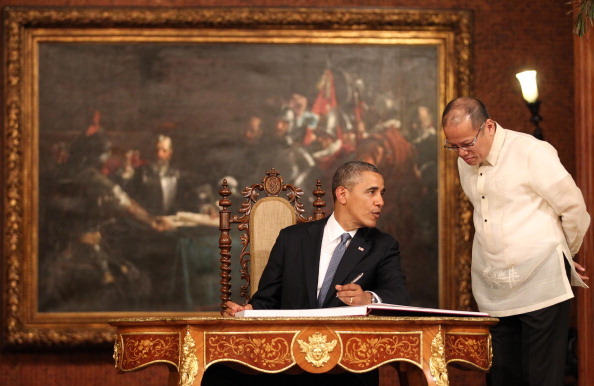 This foreign policy of the Obama regime involves the deepening of US-PH colonial ties such as through the Enhanced Defense Cooperation Agreement (EDCA). Recently signed, EDCA is now the most blatant symbol of US intervention in the country, much like the old US military bases in Subic and Clark. And like before, government is reciting all sorts of benefits to justify what is an essentially new basing deal with the Americans. Local construction firms, professionals and experts are expected be hired by the US military to build their facilities in so-called “Agreed Locations” under EDCA. Entrepreneurs near these agreed locations will profit as well due to demand for services and products from American troops. EDCA defines Agreed Locations as facilities and areas that are provided by the Armed Forces of the Philippines (AFP) for access and use by US forces and contractors. Although denied by officials, these shall effectively function as military bases for the US, including prepositioning materiel. Agreed Locations can be anywhere in the Philippines, even in areas where there are no existing AFP bases. Meanwhile, improved business confidence is another purported economic gain from EDCA. The presence of US forces is claimed to provide stability that local and foreign investors seek. The military deal is said to reinforce stability in Asia, which underpins growth in the region. Alas, like its supposed defense and security benefits such as AFP modernization, maritime domain awareness, etc., authorities are overstating EDCA’s economic gains. For one thing, EDCA does not require the US to give preferential treatment to Filipino firms to build facilities in agreed locations or supply the needs of American troops. On the contrary, it gives the US the exclusive right to choose its own contractors and suppliers. Article VIII paragraph 1 of EDCA states: United States forces may contract for any materiel, supplies, equipment, and services (including construction) to be furnished or undertaken in the territory of the Philippines without restriction as to the choice of contractor, supplier, or person who provides such materiel, supplies, equipment, or services. Such contract shall be solicited, awarded, and administered in accordance with the laws and regulations of the United States. What EDCA merely requires is for the US to make the best effort to hire Filipino contractors and suppliers although this too shall conform to US policies. Paragraph 2 of Article VIII states: United States forces shall strive to use Philippine suppliers of goods, products, and services to the greatest extent practicable in accordance with the laws and regulations of the United States. Building and maintaining foreign military bases have become a lucrative industry in the US, and is dominated by a handful of private American contractors. Based on one rough estimate, private contractors raked in $385 billion in overseas bases in the past decade with the 10 biggest groups cornering one-third of the amount. Private contractors perform various functions outsourced to them by the US Defense department – from the construction and security of foreign military bases to “running dining facilities and performing laundry services” inside these bases. Retired US defense and military officials usually found and head these private contractors, explaining their tight relationship with Pentagon. Thus, it is not surprising that the US Defense department ensured that EDCA would not tie their hands as to their preferred contractors that will provide goods and services in Agreed Locations. Even before EDCA was signed, some of the biggest American private contractors have already been working in the Philippines to support US military operations here. One of them is DynCorp International, which has a $16.34-million contract with the US Navy to perform “labor, supervision, management, tools, materials, equipment, facilities, transportation, incidental engineering, and other items necessary to provide support services” to the US Joint Special Operations Task Force – Philippines (JSOTF-P). JSOTF-P forces have been rotationally deployed by the US in Mindanao since 2002 through the Visiting Forces Agreement (VFA). Their deployment was part of the so-called war on terror of the then Bush administration. They keep facilities inside AFP bases in Zamboanga City, Maguindanao and Sulu. These facilities are being maintained and secured by DynCorp. Another is Huntington Ingalls Industries, which builds ships for the US Navy and Coast Guard. In 2012, Huntington Ingalls forged a service deal with giant South Korean firm Hanjin Heavy Industries to provide maintenance, repair and logistics services to the US Navy at Subic Bay. The contract was apparently in anticipation of increased US military presence in the country that will now materialize under EDCA. At best, the only possible economic “benefit” that Filipinos may have under EDCA is as a source of cheap labor. To further bloat their profits, US military contractors usually subcontract to a third party (e.g. recruitment agency) the hiring of workers to perform low-paying jobs inside US military bases. This system, as a study by Al Jazeera disclosed, is being used to exploit the workers. DynCorp and other US contractors in Afghanistan, for instance, collude with recruiters to charge exorbitant fees to workers and pay them cheap wages while working 12-hour days with little or no time off to do the “cooking, cleaning, laundry, construction and other support tasks necessary to operate military facilities”. Such disputes may include violation of labor rights, which is worrisome since Article VIII of EDCA allows the US to hire contractors without any restriction. This means that even the most notorious contractors such as DynCorp and their partners like Hanjin (also infamous for the series of deaths of their shipyard workers in Subic) will continue to land deals under EDCA. Another possible source of “jobs” are the services for the “rest and recreation” of American troops. But this also means increased exploitation of Filipino women as red light districts near Agreed Locations are sure to thrive like in the heydays of Subic and Clark. Certainly, these are not the sorts of “economic opportunities” we seek under EDCA. In reality, it is the US and its contractors who stand to gain the most economic benefits from EDCA. Agreed Locations, as specified in Article III paragraph 3 of the agreement, for instance, shall be made available without rental or similar costs. And while the country allowed the US to use the Agreed Locations rent-free, the Philippines may still have to compensate the US for the “improvements or construction” in the Agreed Locations, as stated in Article V paragraph 2 of EDCA. The same thing is true with equipment stored in the Agreed Locations, which the Philippines may still need to purchase from the US subject to its laws and regulations (Article V paragraph 5). Furthermore, US contractors and troops can use public utilities such as water and electricity tax-free, as stated in Article VII paragraph 1 of EDCA. It will be the Filipino taxpayers who will be shouldering the tax burden on the use of such public utilities by US contractors and troops. As noted by the Makabayan petition against EDCA, no private company in the Philippines currently enjoys such generous privilege. Government is clearly exaggerating the supposed economic gains from EDCA while concealing the fact that negotiators gave too many unjustifiable perks to the US. Aggravating the matter is the likelihood that increased US military presence and operation under EDCA will harshly impact on the livelihood of local communities where the Agreed Locations will be established. Already, Balikatan military drills have been affecting local livelihood such as the small fishers who are being displaced during naval exercises by US and Filipino troops. Government will also likely acquire more lands or areas to build military facilities in order to accommodate Agreed Locations that the US wants to establish. This is because some locations that the US finds suitable may not be hosting AFP bases. In Subic, for example, which is now a free port zone, the AFP is negotiating with civilian authorities to establish its bases there so that a portion of it can be used as an Agreed Location. What if the US wants to build a naval or air force facility in Palawan or Batanes where there are fishing or farming communities? The US is notorious for displacing whole communities just to build its bases such as what it did in Okinawa and Diego Garcia.